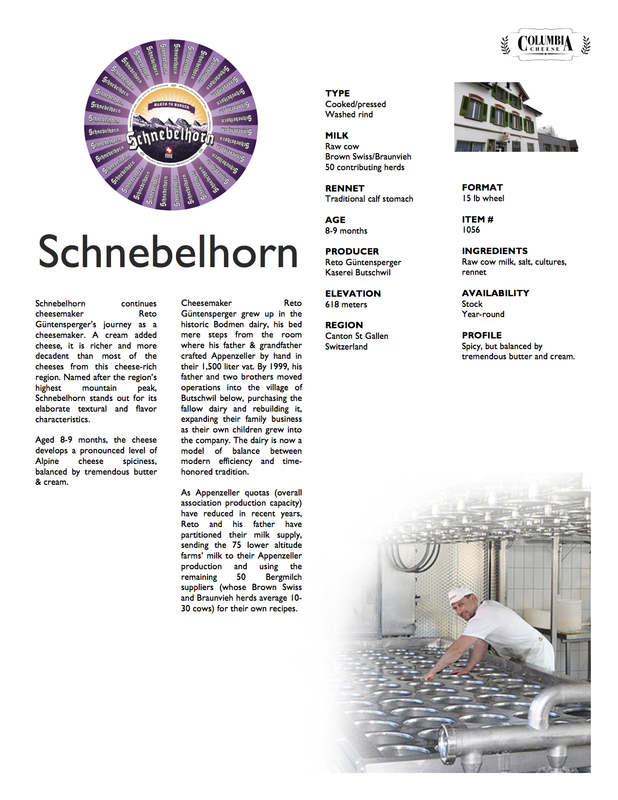 Schnebelhorn continues cheesemaker Reto Güntensperger’s journey as a cheesemaker . A cream added cheese, it is richer and more decadent than most of the cheeses from this cheese-rich region. 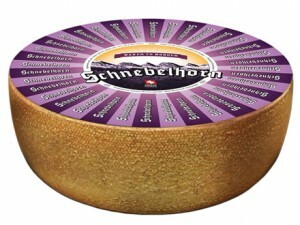 Named after the region’s highest mountain peak, Schnebelhorn stands out for its elaborate textural and flavor characteristics. Aged 8-9 months, the cheese develops a pronounced level of Alpine cheese spiciness, balanced by tremendous butter & cream. It texture is creamy but slightly gritty. PROFILE Spicy, but balanced by tremendous butter and cream.